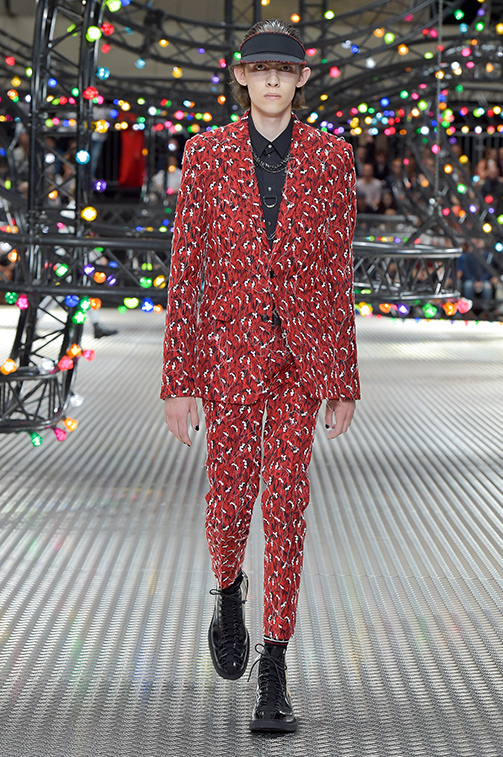 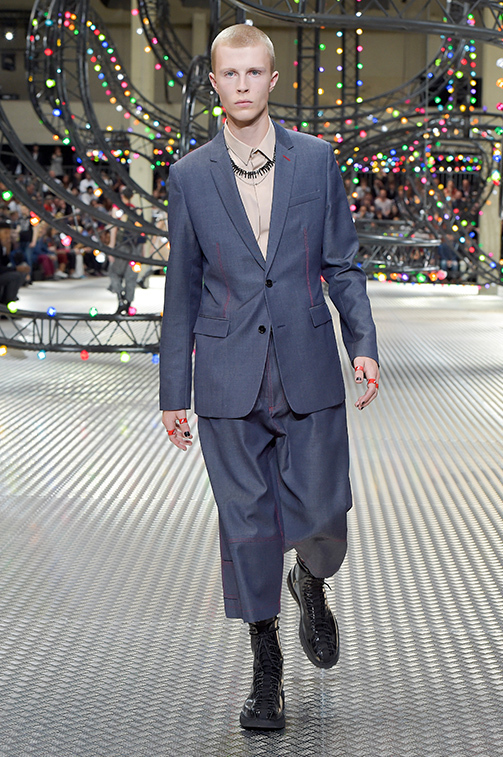 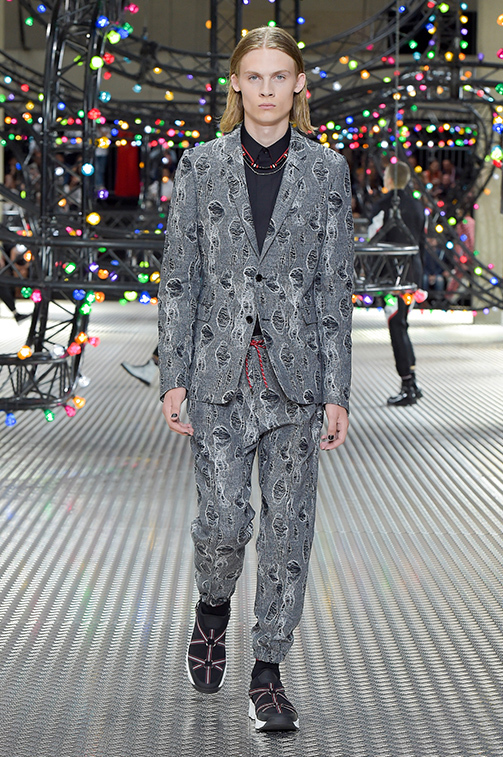 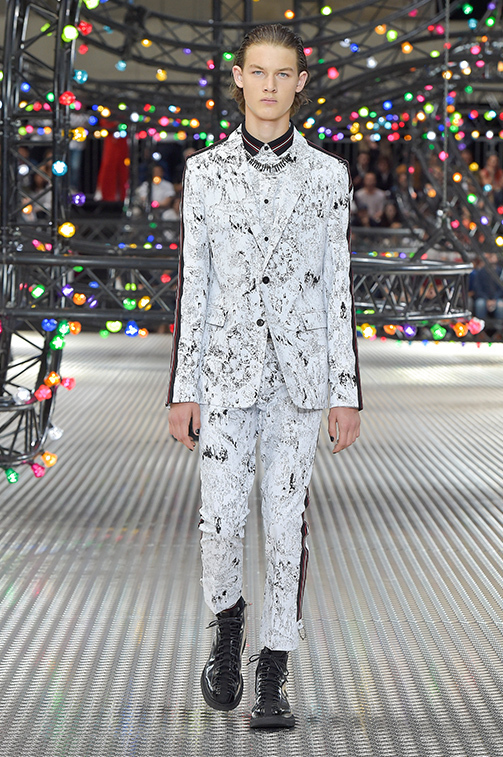 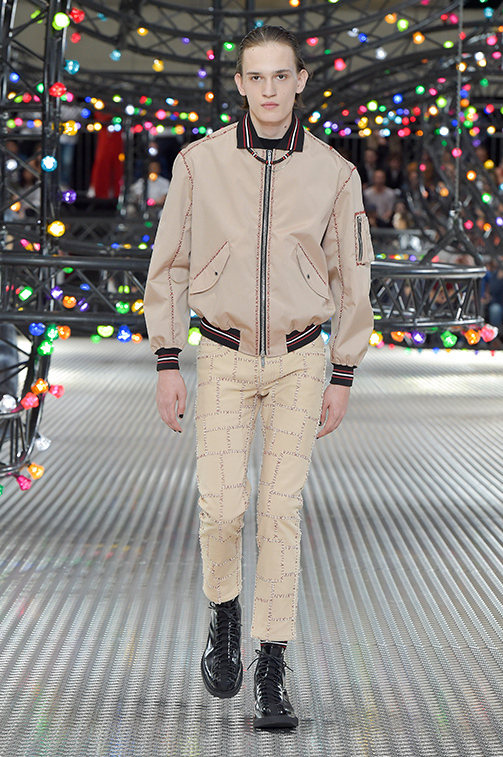 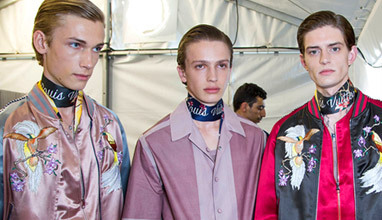 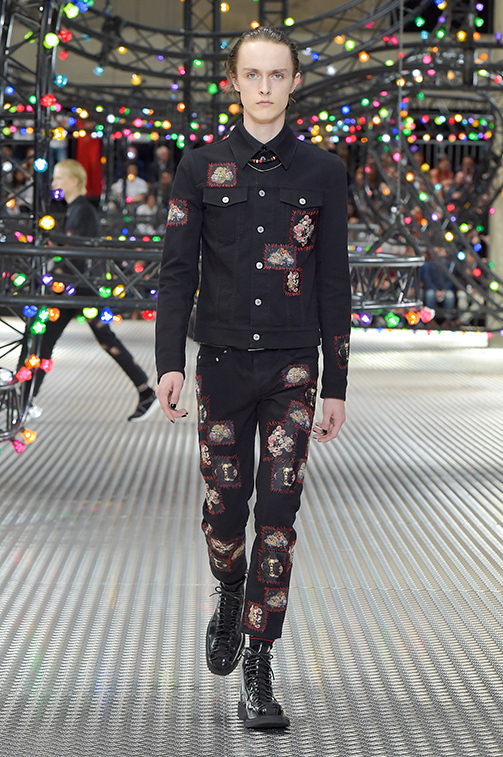 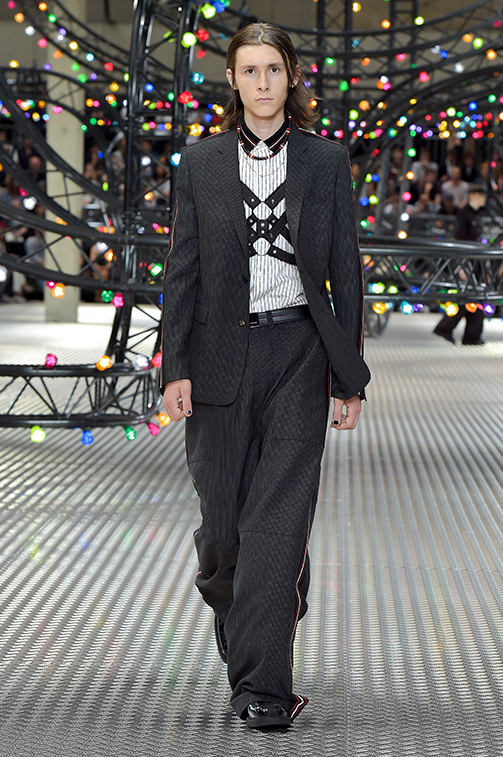 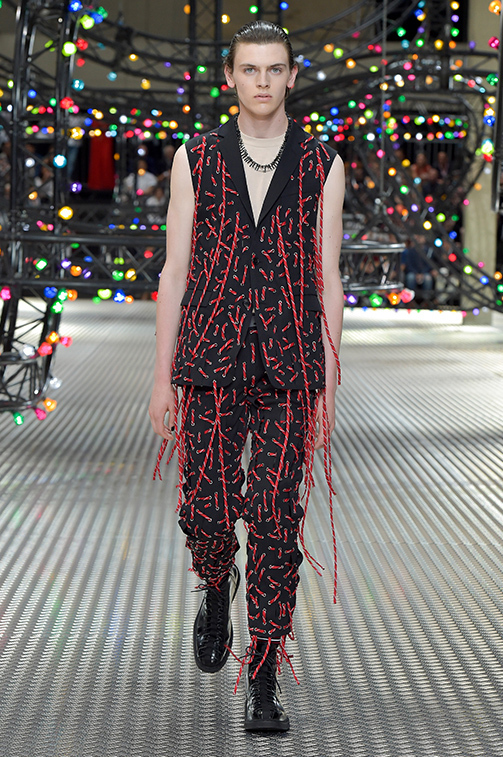 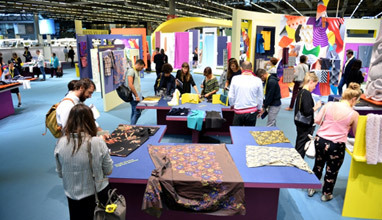 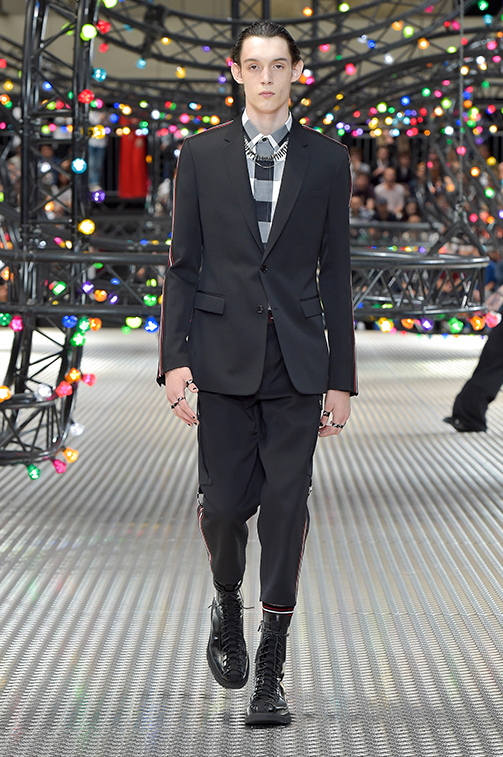 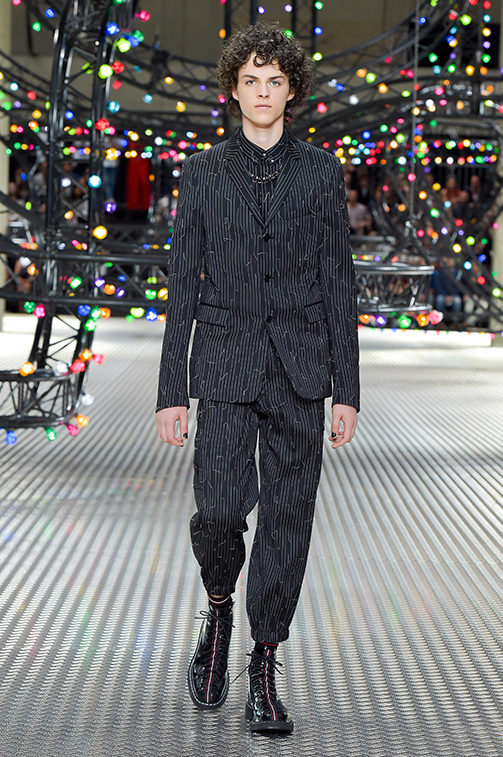 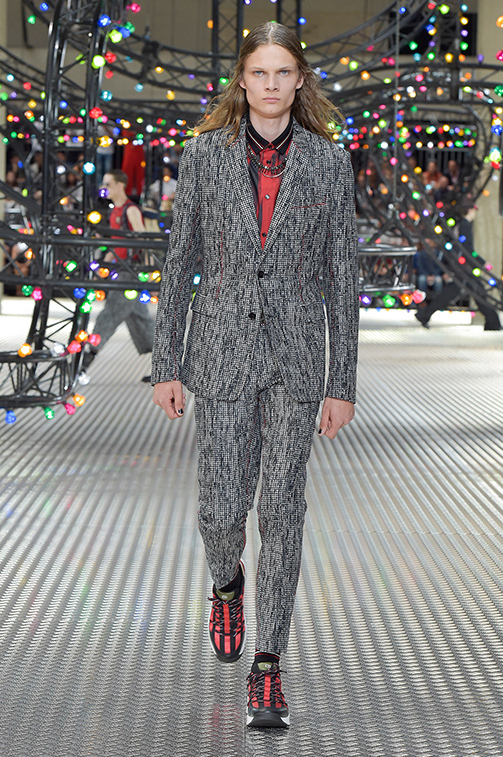 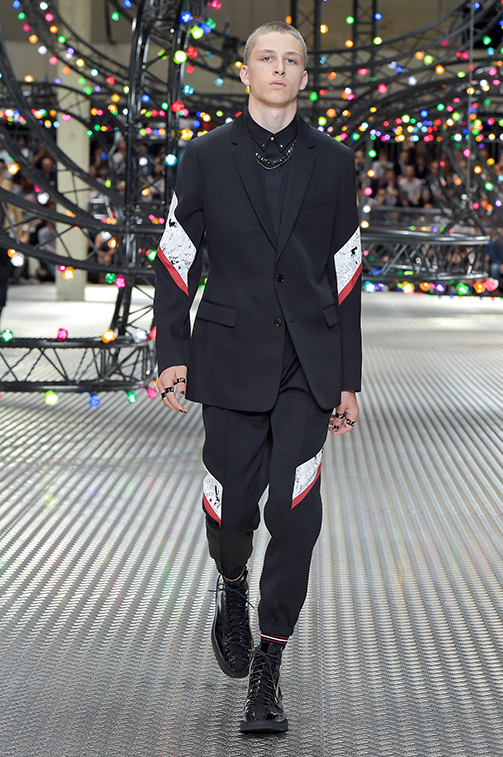 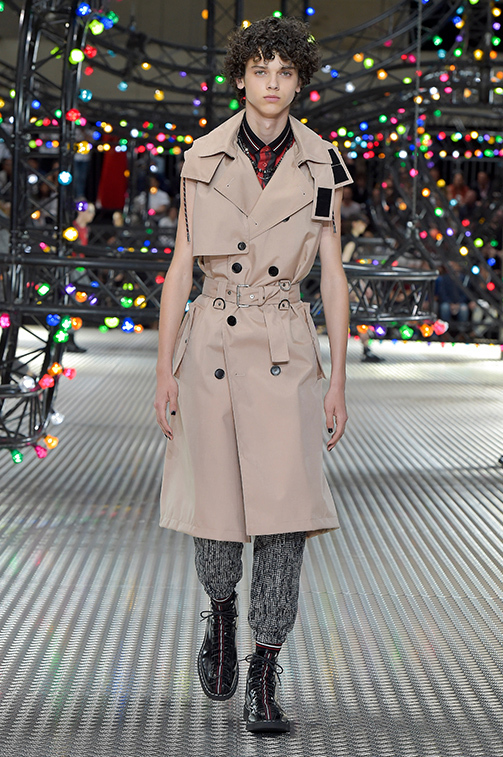 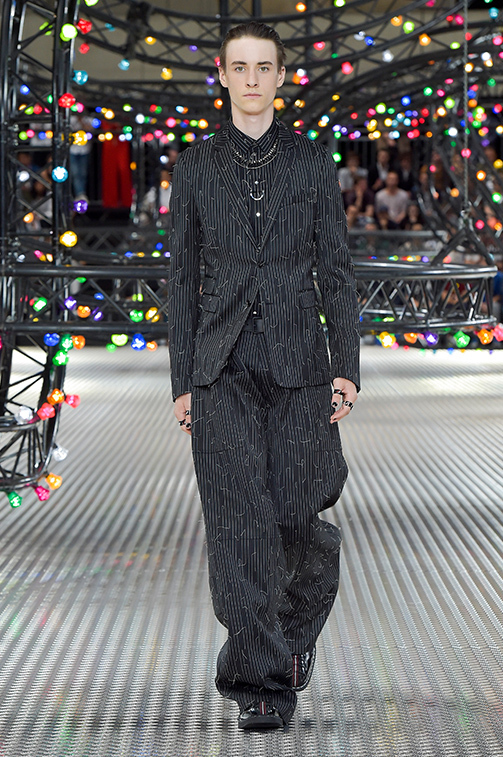 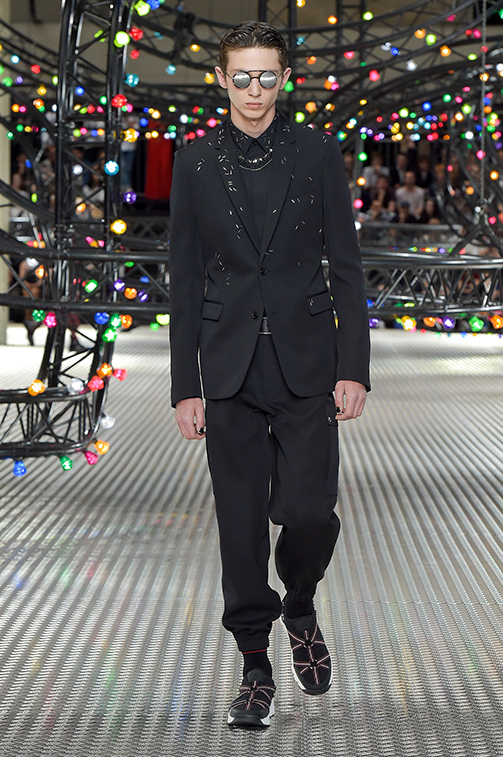 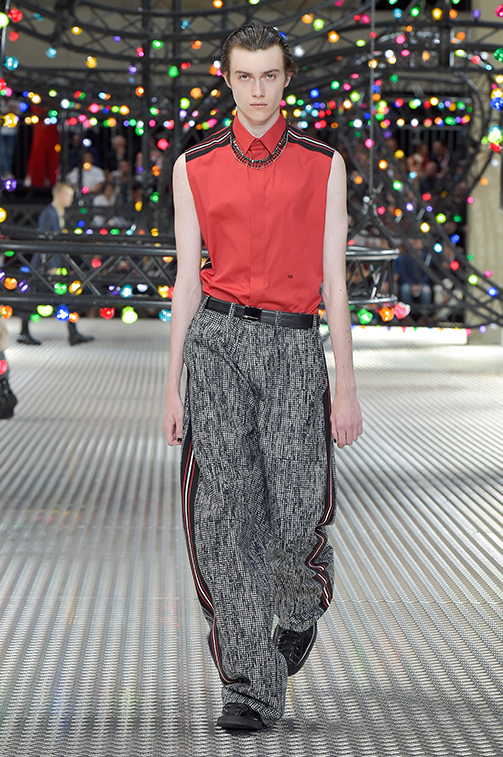 Designed by Kris Van Assche, the Dior Homme collection for Summer 2017 drives an explicit evolution, channeling the energy of Haçienda youth through the industrial landscape of a utopian fun fair. 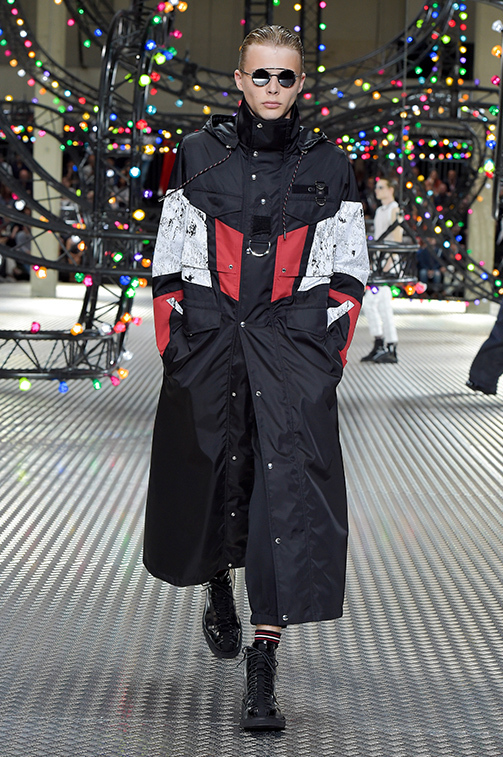 Order and disorder run parallel narratives throughout, as flashbacks to the New Wave and a sportif élan are intertwined with the militant crescendo of refined athletic tailoring. 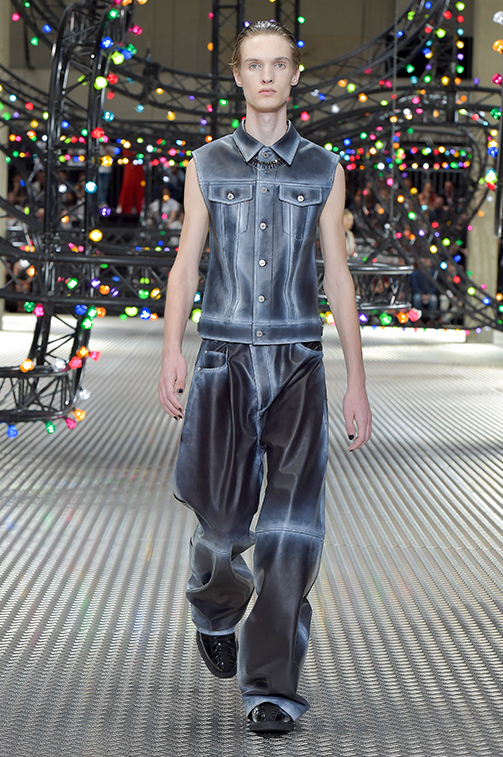 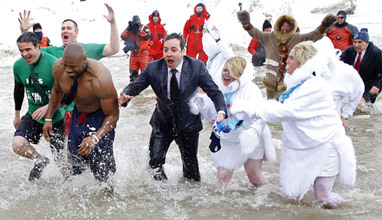 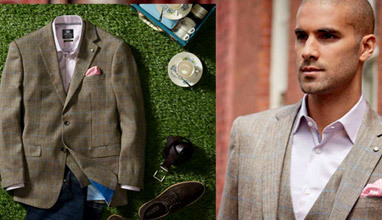 'This season there is a sense of collective consciousness to the collection - a remix of shared boyhood memories. 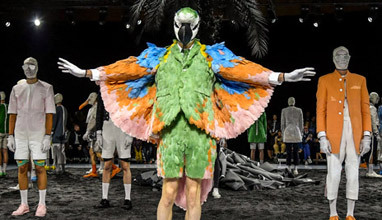 I am interested in a synthesis of generations and filtering subcultures through my own lens to tell a new story', said the designer. 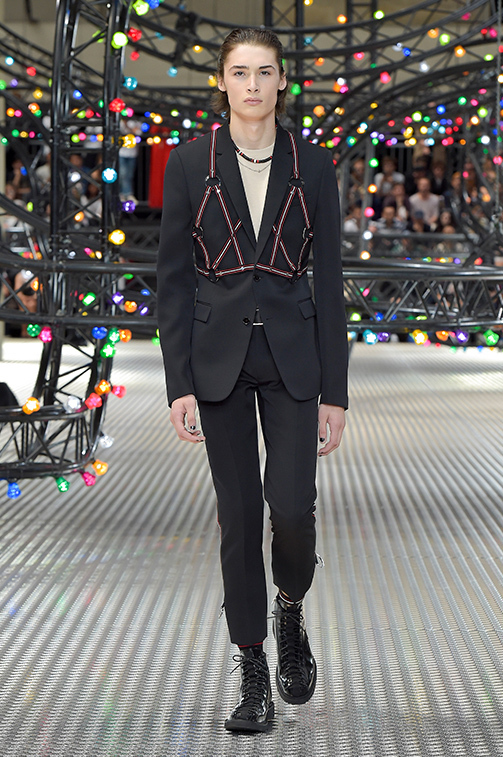 The scenography of the Dior Homme Summer 2017 show revisited the atmosphere of the Sinksenfoor amusement park in Antwerp, Belgium. 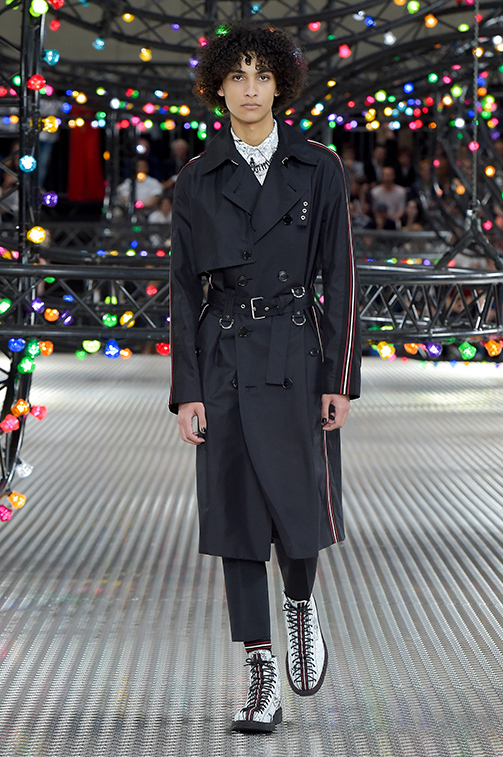 Inspired by the attitude of the young Antwerpers who gather at the amusement park at dusk, Kris Van Assche chose to have the models for his summer 2017 show walk through an installation punctuated with multicolored light bulbs. 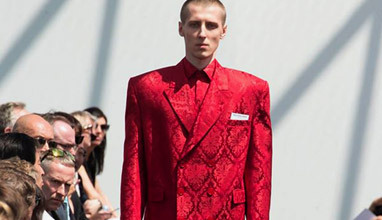 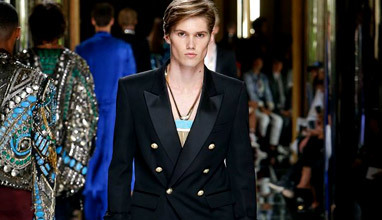 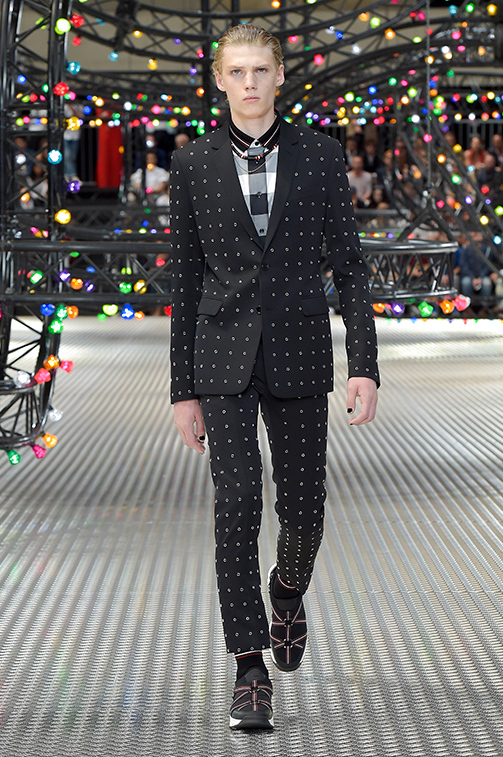 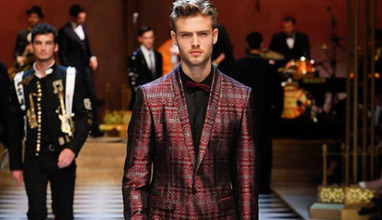 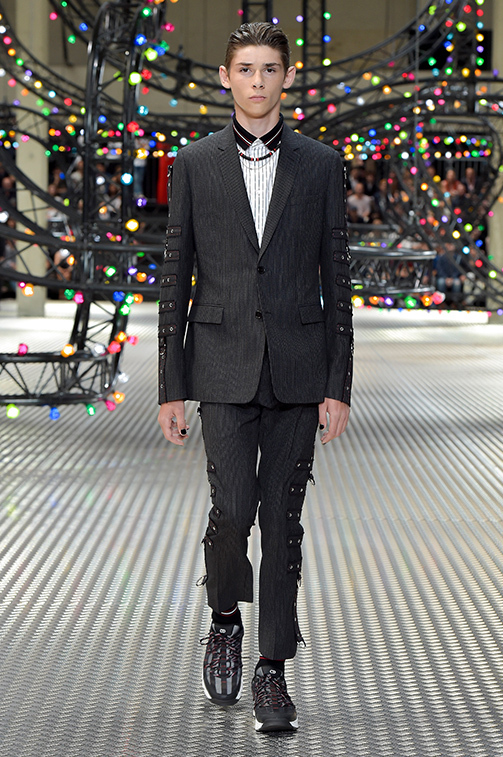 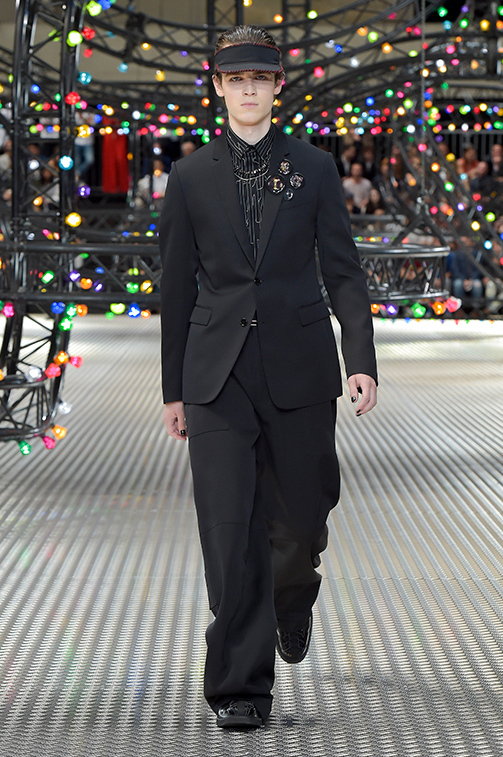 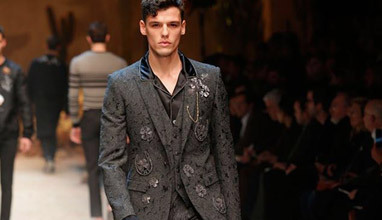 A progressive silhouette warps perceptions of formality; industrial embellishments converge with the innate savoir-faire of the Dior Homme ateliers as eyelets, sports lacing, staples, and screen-printed suiting wools disrupt any expectations of the two-piece suit. 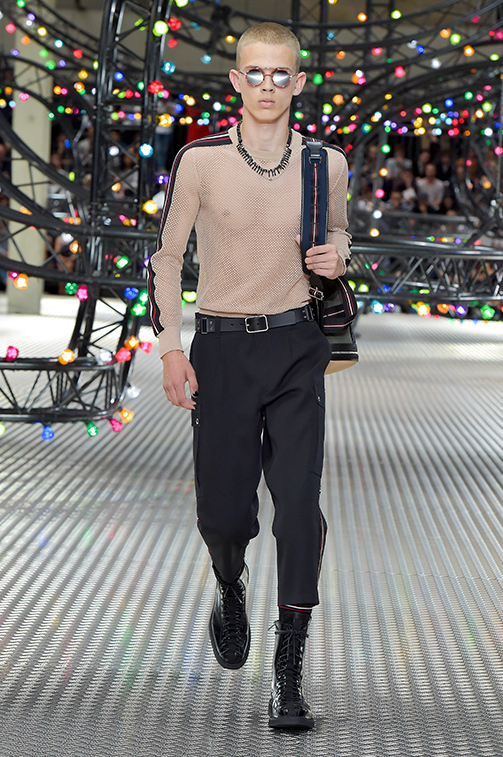 Subverting the sense of classical rigor, bared arms and tonal knitwear illicit moments of summer skin, as articulated harnesses both restrict and suspend. 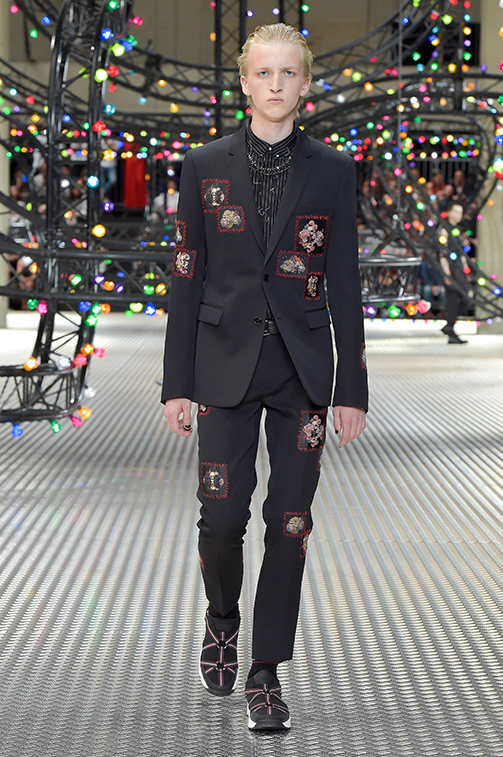 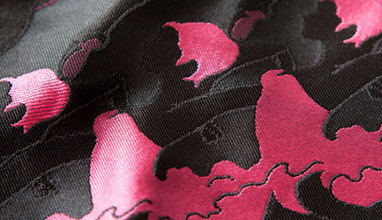 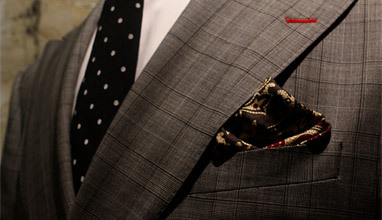 Musings on a garment's memory (items found, worn, and destroyed) are explored through artisanal textiles: pinstripes fray, knits bear scars, houndstooth blurs, and Toru Kamei's arcane floral paintings appear as patched botanical insignias. 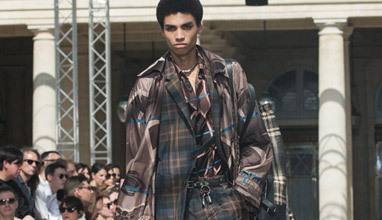 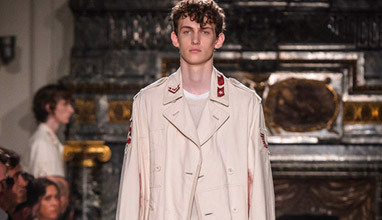 Migrating across hybrid pieces, a multiplicity of uniform and sportswear elements creates a call-and-repeat of polished utility and tempered rebellion.